Goran Boulder does what any giant would do when under attack. He defends himself. His foe is none other than the human Jack Beanstalk. The giants fled to Riesen long ago because of persecution from humans. When humans come for Goran seeking vengeance, will that peace gained from isolation be destroyed forever? 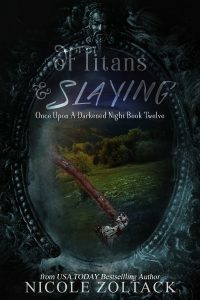 Of Titans and Slaying includes the short story The Cost of Loneliness.